Welcome to the monthly Disability Blogger Linkup! If you are new to this, click here to see previous linkups. Then click the "Enter" button. Please don’t post pieces that are basically advertising or endorsing a product or service for sale. There’s nothing wrong with promoting a specific product or service, but that’s not what this writing share is for. Also, please share a single specific piece of writing, not a whole website or blog. This linkup will close at Midnight Eastern on Sunday. 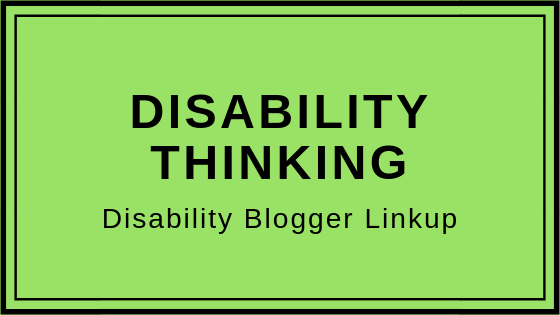 The next Disability Blogger Link-Up will start Friday, February 8, 2019. That's it! If you have any trouble making it work, or have any questions, feel free to email me at: apulrang@icloud.com.